McIntyre Construction is a Vashon based general contractor serving Vashon Island and West Seattle. We offer quality new construction, remodeling, pre-construction planning and consultations. Over the last 15 years we have been fortunate to have completed nearly 300 construction projects ranging from custom homes to kitchen and bath remodels. Some of these projects have included LEED certification, solar power and rain water harvesting and have been featured in local and national media. This wide range of experience along with detailed budgeting, comprehensive project management and skilled craftsmanship provides us with the knowledge, tools and expertise necessary to help our clients realize their vision. BEST OF HOUZZ 2014, 2015, 2016 and 2017: With an emphasis on customer service, RO Enterprises, Inc, is a remodeling and construction firm, serving only Vashon Island. We are proud of the quality of work, depth of knowledge and superior communication skills we bring to our Vashon Island clients. Rumor has it we are known as "the contractor who answers the phone". It makes us smile. With over 30 years of experience, we have a long list of repeat clients who, given the chance, would hire us again. The services we provide include the following: * home additions * new construction * aging in place modifications * renovation or restoration * project management * structural repair and retrofit * window and door installation * weatherization Whether you have detailed plans, or a vague notion, or anywhere in between, we have the expertise to take your project from concept to completion and will work with you to create the design that fits your style and budget. There is more to working on someone's home than just what you do. Quality, cost and timeliness are only part of the job. How the customers feel they were treated is an equal part of the home renovation experience. The highest compliment a contractor can receive from a client is to be invited back to do additional work on their home. Proform Construction is a general contracting company specializing in new construction, remodeling and improvements of residential homes. We've been serving the Seattle area since 2007. We are dedicated to providing uncompromised construction service to our clients, and professional growth and fulfillment for our employees. We listen to our clients, share their values and respond to their needs. We take great pride in helping our clients see their dream become a reality. Proform Construction has earned an outstanding relationship with architects, engineers, subcontractors and vendors, which generates competitive pricing and an unparalleled level of quality. Model Remodel (MRM) is a design-build, general contractor specializing in remodeling. Serving clients in the Seattle metro area since 2002. Our talented crews work on a wide range of projects – from new construction to small- and large-scale remodeling. Partnering with outstanding architects, skilled subcontractors, and visionary clients, we take exceptional pride in all that we do and guarantee the quality of our execution. Stark Construction specializes in custom homes and remodels on the Eastside and Seattle areas. Our superior products, unique designs, creativity, and commitment to our client’s needs set us apart in the custom construction business. Explore our website to discover more about our approach and results, then contact us to start realizing your vision with Stark Construction. Stark Construction has been building and remodeling quality homes on the Eastside and in Seattle for over 30 years. We have forged relationships with the best architects, subcontractors, and craftsmen in the area, and can bring that expertise together to make your home construction dreams a reality. BrightWork Builders (formerly Gary Timpe LLC) are skilled craftsmen who specialize in single-family, residential remodels, additions, restorations, and new construction. We are a customer-oriented company that is dedicated to building beautiful homes to the highest standards. BrightWork Builders has an extensive and diverse portfolio of completed projects, from total house remodels and expansive additions, to smaller projects such as bathroom remodels. Regardless of your project size, we guarantee a beautiful enhancement to your home. JLS Construction Inc. is a full service general contractor with over twenty years of experience in the Seattle area. Our emphasis is on custom remodeling and the construction of new custom homes. JLS Construction is owned and operated by skilled carpenters and craftsmen and we take great pride in our quality workmanship and hands on approach to the construction process. Our crews are involved with all phases of construction and are experienced framers, finish carpenters and installers. Our teams of specialty subcontractors for licensed work such as electrical, plumbing, and heating, are well established and have worked with us for many years. We provide detailed estimating allowing our clients to see a break down of all job costs before construction begins. We use professional management systems to provide and maintain efficient scheduling and job controls. We also provide value engineering and design consulting on all our projects. General, or construction contractors, are often known as project managers. They oversee the entire remodeling or new home construction project and facilitate all day-to-day tasks that move it toward completion. A Vashon general building contractor will work with your architect to review plan as you build a house and ensure everything is in place before work is started as well as arrange for permits and necessary inspections. 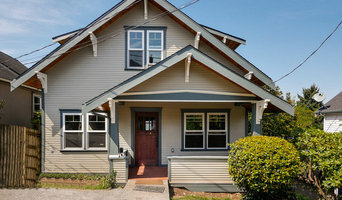 While good local home improvement contractors in Vashon will have the skills to handle certain tasks onsite, such as carpentry, he or she is also responsible for hiring subcontractors for the majority of jobs, such as electrical work, painting or plumbing. In addition, the general contractor should be on-site regularly to inspect the progress and resolve issues. Here are some related professionals and vendors to complement the work of general contractors: Architects & Building Designers, Interior Designers & Decorators, Landscape Architects & Landscape Designers, Kitchen & Bath Designers, Specialty Contractors. Home remodeling contractors are a must for successful completion of a renovation. Because of this, it's essential that you do your homework before deciding on the right general contractor in Vashon as you remodel or build a house. Inspect bids carefully. Was it ready when the contractor promised it? Was the bid for building a home unusually high or low? Each of these things can be very telling: A late bid may reflect timing standards, and an off-the-mark bid could be code for a pricey premium or a deliberate underbid to score the remodeling job. 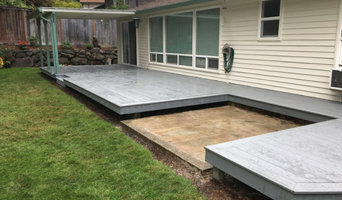 You should call references, carefully read reviews and visit completed projects in Vashon, WA to see if they’re what you expect for your job. Once you do secure your local Vashon contractors, read the contract very carefully to be sure everyone is on the same page. 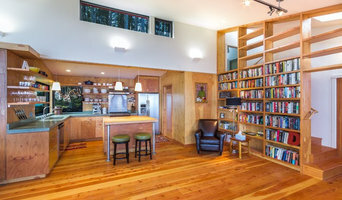 Find a Vashon contractor on Houzz. 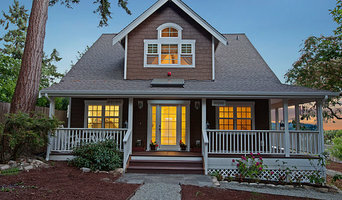 Narrow your search in the Professionals section of the website to Vashon, WA home contractors. You can also search for photos in Vashon, WA and contact the Vashon general contractor who worked on the project.